How God uses who God uses is up to Him. I have long since given up bemoaning gifts God has not given me. Our job is simply to be faithful with what God has given us everywhere He may lead us. Have you ever marveled at God’s grace in your life? 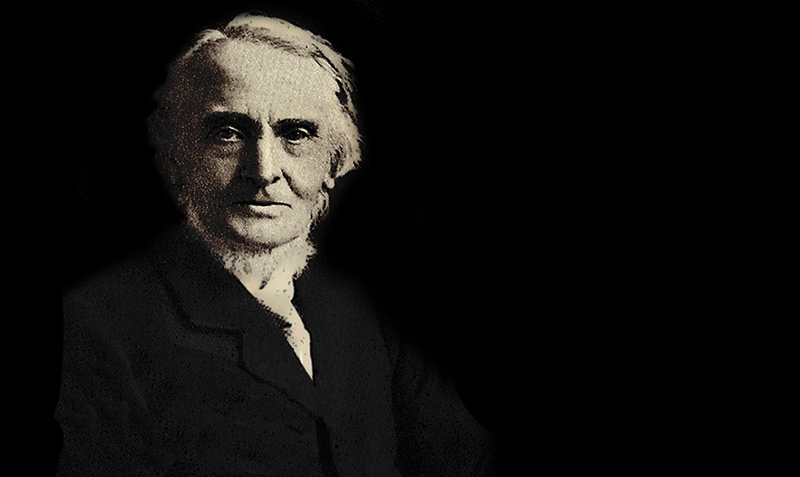 The story of the ministry of Alexander Maclaren is a story of faithfulness and grace. To be totally candid, if my assignment today were “Learning to Pastor from Alexander Maclaren,” this article might have taken a totally different focus. But to aspire to learn something about preaching from a man known as “the Prince of Expositors” has become a fascinating, humbling, and encouraging journey for me. Let me explain. Pastoral ministry was not his strength. By his own admission, he was not very good at it and it was not really his passion. He left a lot of the visitation or other pastoral care matters to others in the church. He was not really charismatic. A number of words used to describe him are: introverted; slightly aloof; reclusive; and one who tended to avoid social engagements. Moreover, he admitted that he would prefer to be “invisible from the time he left his study till he was in the pulpit.”E. T. McLaren, Dr. McLaren of Manchester: A Sketch (London: Holder and Stoughton, 1911), 84. He sometimes felt his sermons to be a failure after he preached them. There was nothing necessarily flashy about his sermons. He didn’t really speak to the issues of his day. Even though there were many pressing issues that might have been important issues to address from the pulpit like theological liberalism, evolution, naturalism, authorship of books of the Bible, etc. His sermon titles were not really that creative. He rarely traveled and started no schools or publications. In an odd way, I found all of that somewhat encouraging. And if you’re a God-called minister struggling to fit the “stereotype” of what a minister is supposed to be, I want to encourage you to learn a lesson from this great 19th century British preacher. Because it was this same man who, in spite of who he was not, was enormously used of God. It’s those keys to Maclaren’s effectively that I want to highlight. Maclaren was a man of faithful and consistently holy character. His personal piety and devotion to God were the passion of his life and the foundation of his preaching. He once said, “I have always found that my own comfort and efficiency in preaching have been in direct proportion to the depth of my daily communion with God.”John Brown, Puritan Preaching in England: A Study of Past and Present (New York: Charles Scribner’s Sons, 1900), 287. Maclaren was faithful to the church where God led him to serve. He died on May 5, 1910, after 65 years in ministry. Forty-five of those years were spent at the Union Baptist Chapel in Manchester. That’s a legacy! Maclaren was fastidious in his studies. He approached his work of preaching with a reverence for God’s word and a passion for the careful exegesis of it. His attention to detail and diligence in his work are seen in every message. He was also a student of the original languages, spending time every day studying Scripture in both Hebrew and Greek. The treasures he left behind in his Expositions of Holy Scripture testify to his genius and remarkable study habits. Maclaren made a conscientious effort to focus on Christ in every message. Christ was never an afterthought or appendage to his messages, but He was the heart of the message and a deliberate focus from the heart of a preacher who genuinely believed that the Gospel has the power to change lives. Maclaren’s messages always contained clear and relevant application. The fruit of his study and the creativity of his mind were apparent by his careful and consistent demonstration of the contemporary relevance of the text. The ultimate key to Maclaren’s success (as well as yours or mine) can only be attributed to the blessing of the Lord on his ministry. But, his pious lifestyle, faithfulness in service, diligence in study, focus on Christ, and his clear application of the text are habits every preacher can practice. Studying Maclaren’s life and reading his work has lead me to a deeper appreciation of the significance of the calling to be a preacher and a renewed wonder in the riches of God’s grace. Deron Biles is Dean Emeritus of Southwestern Center for Extension Education, Professor of Pastoral Ministries and Preaching, and Director of Professional Doctoral Studies at Southwestern Baptist Theological Seminary in Fort Worth, Texas. 1. ↑ E. T. McLaren, Dr. McLaren of Manchester: A Sketch (London: Holder and Stoughton, 1911), 84. 2. ↑ John Brown, Puritan Preaching in England: A Study of Past and Present (New York: Charles Scribner’s Sons, 1900), 287.